Looking for an economical trimmer that can get the job done without breaking the bank? Here is the solution to the homeowner who wants quality and economy. 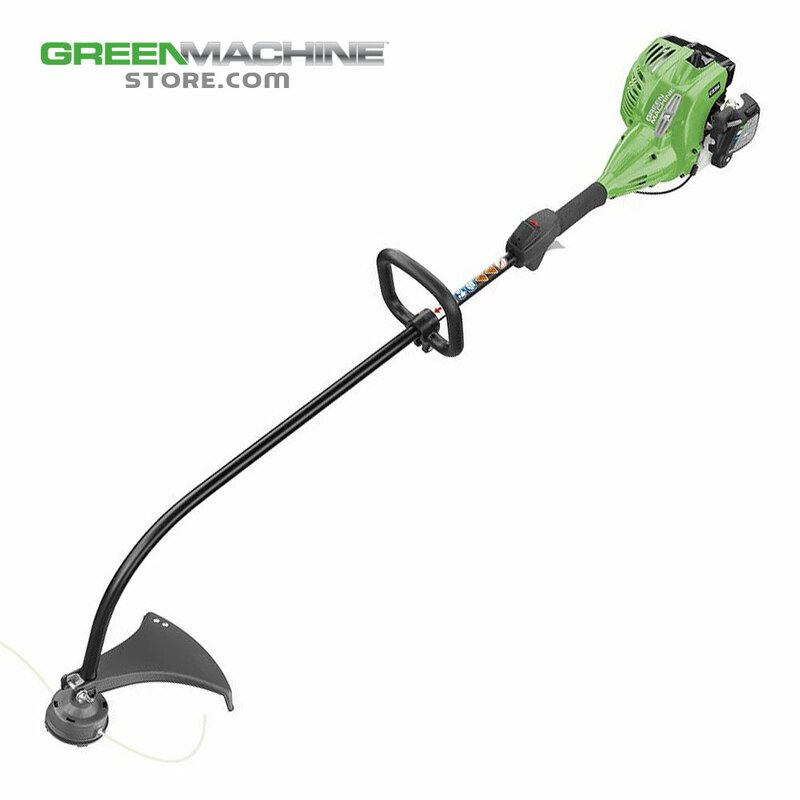 This 2 Cycle, 26cc trimmer by Green Machine runs at 20% below EPA requirements, yet has the power you need to keep your lawn looking its best. • Light weight at 9.3 lbs. Copyright Green Machine Store at Power Mower Sales. All Rights Reserved.